Biographical notices of some of the more distinguished of Dr. Parr’s pupils at Hatton—Thomas Sheridan—Smitheman—Bartlam—Lord Tamworth—Wilder—Lord Foley—George A. Legge—P. and W. Gell—Dr. Davy, &c.
In the list of Dr. Parr’s pupils at Hatton, brilliant is the name which first occurs in that of Thomas Sheridan, son of Richard Brinsley Sheridan, and of his first wife the celebrated Miss Linley. In the expression of his face he much resembled his beautiful mother; and from his father, he inherited his talents, his versatility of temper, and indolence of habit. Like his father, too, he was noted for his love of fun and frolic, much to the annoyance of all, with whom he associated, or near whom he resided. Even his venerable tutor was not spared; and many a merry tale is told of the pranks, which he played off against him. But he loved his master too well, seriously to disturb his peace, or to distress his feelings. There was, indeed, no malignity in his mischief; and for any material injury which might result from it to others, he was always eager to offer ample reparation. fruits of diligent application—after an interval of time, which seems not to have been well employed, he went to Cambridge. But here his stay was short. He soon entered into the army; and served as aide-de-camp to the Earl of Moira. Early in life he married a Scotch lady; and went, in the capacity of colonial paymaster, to the Cape of Good Hope. Here his house was the constant resort of jovial company; and by the brilliancy of his wit, and the powers of his conversation, he was the life of every party that met him, either at home or abroad. But the dreadful, malady, of which the seeds were implanted in his constitution, too soon began to show its alarming progress; and after a short struggle he sunk into his grave, in the prime of manhood, leaving a widow and two children. in an arm of the sea near Orford in Suffolk, the boat was suddenly overset, and he was drowned, in the sight of his villa, leaving behind him a wife and three sons. “After the decease of her beloved husband, Mrs. Bartlam fixed her abode at Alcester; where she received many courteous attentions, and many important services from the noble family at Ragley. Thomas, the eldest son, after a short stay, as colleger, at Eton, was removed to Rugby school; where his brothers, Robert and John, had been placed, under the care of the late Dr. James, who had meritoriously introduced the Eton plan of instruction; and thus laid the foundations of all the celebrity which that seminary afterwards acquired, and now deservedly retains. In the winter of 1786, he had the misfortune to be in the number of those boys who, in consequence of disobedience, were sent away. “Hearing that his case was accompanied with many circumstances of mitigation, Dr. Parr made some inquiries into his general character; and finding that he was a good scholar, and had stood high in the esteem of his master, the Doctor applied for permission to take him as a pupil. The request was granted; and Mr. Bartlam came to Hatton, where he had comfortable lodgings in the village, and received the same instruction that was given to the other pupils of Dr. Parr. His application there was diligent; his classical learning was considerable; and his good behaviour and good nature so endeared him to the Doctor, as to produce a friendship, which continued to the end of his life. “Mr. B. entered as commensalis of Merton college, May 16, 1789; was elected portionist, April 26, 1790; took the degree of B.A. February 13, 1793; gained the Chancellor’s prize for the English essay, 1794; was elected Fellow of Merton, August 3, 1795; took the degree of M.A., May 25, 1796; was pro-proctor, 1805; and, in the absence of the senior proctor, who was confined by illness, Mr. Bartlam delivered a very elegant speech in Latin. “In the year 1797, Mr. Bartlam was presented to the perpetual curacy of Tetenhall, Staffordshire, by Sir John Wrottesley; and ten years after he resigned it, when the brother of Sir John was of proper age to be his successor. In January, 1800, he was presented to the vicarage of Beoley, in Worcestershire, by Mr. Holmes, and to the curacy of Studley, by Mr. Knight of Barrels, in Warwickshire. October the 1st, 1811, he was presented, by the warden and fellows of Merton College, Oxford, to the vicarage of Ponteland, in Northumberland. ledge, but acquired a copious, correct, and often beautiful style in the English tongue. His letters to numerous correspondents, and his more elaborate writings for the pulpit, abound with proofs of his erudition and his ingenuity. “Bartlam’s perception of beauties, in prose and verse, was quick and lively; his memory was retentive; his flow of. words, both in writing and speaking, was ready and copious; and his delivery, in addressing either an enlightened Or promiscuous audience, was distinct, without ostentatious precision; animated without noisy vehemence,1 or serious without “austere sanctimony.”1 Hence his talents and his literary attainments procured for him the honourable distinction—“laudari a laudatis viris;”2 and among them may be classed Dr. Cornwall, the venerable Bishop of Worcester; Lord Holland; Sir Charles Monk; the late Dr. Charles Burney; his excellent son, now living; Mr. Nichols, the intelligent and well-known conductor of the Gentleman’s Magazine; Mr. E. H. Barker, the editor of Henry Stephens’ Thesaurus; Mr. Archdeacon Butler, the editor of Æschylus; Dr. Edward Maltby, the editor of Morrel’s Thesaurus; Dr. Symmons, the ingenious biographer of Milton, and translator of Virgil; his son, John Symmons, who, like Richard Porson, is a prodigy in extensive reading, never-failing memory, and skilful application; the eloquent and philosophical Robert Fellowes; the sagacious and learned Wm. 1 Vid. Nævius in Hectore, and Cicero, lib. vi. Familiar. Epist. 12. 1 Vide the Adventurer, No. 132. “To his surviving brother, the precentor of Exeter, and to his preceptor and guide, Dr. Parr, the loss of a companion so amiable and a friend so faithful is irreparable. various gradations of rank, till, in 1821, he was promoted to that of lieutenant-general. He died at the Manor House, Binfield, in Berkshire, January 23, 1824. Among the more distinguished names of Hatton scholars, the following remain to be added:—Dr. 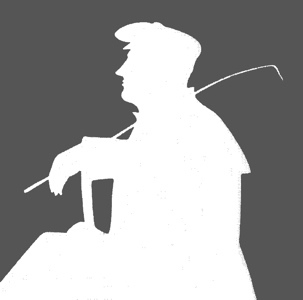 Davy, master of Caius College, Cambridge—the Rev. William Philips, of Ealing, Hants—the Rev. Samuel Hemming, of Drayton, Warwickshire—Dr. Perkins—Robert J. West, of Alscote, Esq.—George Newnham Collingwood, of Moor-House, Hawkhurst, Kent, Esq.—Hon. William Spencer, author of Leonora, and other works of fancy—Richard Parry, Esq. of London—Henry Oddie, Esq.—Francis Hargrave, Esq. 1 “The ‘Remains of Troy’ were given me by my very ingenious pupil, Sir William Gell; and the book is in all respects worthy of his acuteness, erudition, and taste. S. P.”—Bibl. Parr. p. 347. Aeschines (389 BC-314 BC) Athenian orator, the rival of Demosthenes. Edmund Henry Barker (1788-1839) Educated at Trinity College, Cambridge, he was an improvident classical scholar, editor, philologist, and collector of anecdotes. John Bartlam (1770-1823) Educated at Rugby and Merton College, Oxford; he was rector of Ponteland, and a pupil and friend of Samuel Parr. Robert Bartlam (1769 c.-1821) Of Alcester, the son of Francis Bartlam; educated at Rugby, he was a Warwickshire solicitor and neighbour of Samuel Parr, who wrote his epitaph. Thomas Bartlam (1765 c.-1832) The son of Francis Bartlam and elder brother of John; educated at Eton, Rugby and Worcester College, Oxford; he curate of Exhall in Warwickshire and canon of Exeter. Samuel Thomas Bloomfield (1783-1869) Greek scholar and rector of Bisbrook, Rutland; he published The History of Thucydides (1829). Charles Burney the younger (1757-1817) Son of the musicologist; after a scandalous youth he became a noted scholar, book collector, and schoolmaster at Greenwich. His collection of newspapers is now in the British Library. Charles Parr Burney (1785-1864) The son of the younger Charles Burney; educated at Merton College, Oxford, he succeeded his father at the Greenwich Academy (1814-35) and was rector of Sible Hedingham and archdeacon of St. Albans (1840) and Colchester (1845). George Butler (1774-1853) Educated at Sidney Sussex College, Cambridge, he succeeded Joseph Drury as headmaster at Harrow after a contentious election (1805) and was dean of Peterborough (1842-1853). Folliot Herbert Walker Cornewall, bishop of Worcester (1754-1831) Educated at Eton and St John's College, Cambridge, he was dean of Canterbury (1793), bishop of Bristol (1797), and Worcester (1808). William Crowe (1745-1829) English poet educated at Winchester and New College Oxford; he was rector of Alton Barnes, Wiltshire; he is remember for his descriptive poem Lewesdon Hill (1788). He corresponded with Samuel Rogers. Martin Davy (1763-1839) English physician educated at Edinburgh University and Gonville and Caius College, Cambridge; he was master of Caius and a vice-chancellor of the university. Demosthenes (384 BC-322 BC) Athenian orator, author of the Philippics. Hon. Sampson Eardley (1770-1824) The son of the first and last baron Eardley, whom he predeceased by six months. Robert Fellowes (1770-1847) Educated at St Mary Hall, Oxford, after taking orders he published Religion without Cant (1801) and was editor of the Critical Review (1806-11). Samuel Parr was instrumental in obtaining for him the post of secretary to Queen Caroline. Thomas Foley, third baron Foley (1780-1833) Whig peer, the son of the second baron (d. 1793); educated under Samuel Parr at Hatton and at Christ Church, Oxford, he was a privy councillor and Lord-Lieutenant of Worcestershire (1831-33). Philip Gell (1775-1842) Of Hopton in Derbyshire, the elder brother of Sir William Gell; educated under Parr at Hatton and at Manchester School, he was MP for Malmesbury (1807-12) and Penryn (1812-18). Francis Albany James Hargrave (1779 c.-1847) The son of the legal writer Francis Hargrave (d. 1821); educated under Samuel Parr at Hatton, he was called to the bar from Lincoln's Inn in 1809 and worked at the House of Lords. He contributed to the New Monthly Magazine, and, impoverished, spent his later days at the Charterhouse. Samuel Bracebridge Heming (1768 c.-1856) Educated under Samuel Parr, at Rugby School, and St John's College, Cambridge, he was fellow of Caius (1795-98), rector of Ravenstone, Derbshire (1799-1809) and of Fenny Drayton, Leicestershire (1824-56). Thomas Holmes Hunter (1751 c.-1827) Of Beoley Hall, Worcestershire; originally Holmes, he was an East Indian merchant who changed his name when inherited the estate of Gubhins in Hertfordshire. Thomas James (1748-1804) Educated at Eton and at King's College, Cambridge, he was a very successful headmaster of Rugby School (1778-1804). John Johnstone (1768-1836) Educated at Kidderminster grammar school, Merton College, Oxford, and Edinburgh University, he was a physician at Worcester and Birmingham and the editor and biographer of Samuel Parr. Robert Knight (1768-1855) Of Barrels; he was the illegitimate son of Robert Knight, first earl of Catherlough, and an associate of Sir Francis Burdett and Douglas Kinnaird. He was a Whig MP for Wootton Bassett (1806-07, 1811-12), Rye (1823-26), and Wallingford (1826-32). Hon. Augustus George Legge (1773-1828) The eighth son of the second earl of Dartmouth, he was educated at under Parr at Hatton and at Merton College, Oxford, and was prebendary of Winchester (1817) and chancellor (1819). John Morley (1763-1804) Educated at Tiverton School and Oriel College, Oxford, he was curate of Hampton Lucy and Vicar of Aylesbury (1816); he was a friend of Samuel Parr and contributor to the Oxford Review. Gnaeus Naevius (270 BC c.-201 BC) Roman poet and dramatist whose works survive as fragments. John Nichols (1745-1826) English printer, editor, biographer, bibliographer, and antiquary; he was the printer of the Gentleman's Magazine from 1780 and its sole editor from 1792. Henry Hoyle Oddie (1743 c.-1830) He was a chancery solicitor, philanthropist, and friend and former student of Samuel Parr. Persius (34-62) Roman poet, the author of six surviving satires. William Joseph George Phillips (1778 c.-1855) After study with Samuel Parr, he was educated at Trinity College, Oxford and at Gonville and Caius College, Cambridge. He was vicar of Eling, Hampshire (1808-55) and rector of Millbrooke (1812-55). Richard Porson (1759-1808) Classical scholar and Regius Professor of Greek at Cambridge (1792); he edited four plays of Euripides. Martin Joseph Routh (1755-1854) President of Magdalen College Oxford, 1791-1855; he published Reliquiae Sacrae (1814-48), a collection of patristic writings. Francis Charles Seymour-Conway, third marquess of Hertford (1777-1842) The son of the second marquess (d. 1822); he was a gambler, bon vivant, art collector, and friend of the Prince Regent. He was Castlereagh's second in the 1809 duel with George Canning. Elizabeth Ann Sheridan [née Linley] (1754-1792) Much-admired English singer, daughter of the musician Thomas Linley; she was compelled to give up her career upon marrying Richard Brinsley Sheridan in 1773. Thomas Sheridan (1775-1817) Actor, son of Richard Brinsley Sheridan and Elizabeth Linley; he was manager of Drury Lane when it burned in 1808; he died of consumption, the disease that killed his mother. Robert Shirley, seventh earl Ferrers (1756-1827) The son of Robert Shirley, sixth earl Ferrers (d. 1787); he avoided politics and devoted himself to building and improving country estates. Robert Sewallis Shirley, viscount Tamworth (1778-1824) The son of Robert Shirley, seventh Earl Ferrers; educated at Christ Church, Oxford, he died young of a bowel complaint. John Smitheman (d. 1794) The son of John Smitheman of West Coppice in Shropshire (d. 1809); he died while a private pupil of Samuel Parr at West Hatton. William Robert Spencer (1770-1834) English wit and author of society verse. He was the son of Lord Charles Spencer, second son of the third duke of Marlborough, educated at Harrow and Christ Church, Oxford. Spencer was a friend of Fox, Sheridan, and the Prince of Wales. Charles Symmons (1749-1826) Educated at Westminster School, Lincoln's Inn, Glasgow University, and Cambridge, he was a prebendary of St David's Cathedral, a playwright, and author of the life of Milton prefixed to his Works (1806). John Symmons (1780 c.-1842) The son of Charles Symmons, biographer of Milton; educated at Westminster, Christ Church, Oxford, and Lincoln's Inn, he was a barrister on the Welsh circuit. Thucydides (460 BC c.-395 BC c.) Athenian historian; author of the History of the Peloponnesian War between Athens and Sparta (431-404 BC). Peter Vaughan (1770 c.-1826) The fourth son of James Vaughan MD of Leicester and younger brother of Sir Henry Halford (d. 1844) and Sir John Vaughan (d. 1839); he was assistant-master at Rugby (1792), warden of Merton (1810), and dean of Chester (1820). Sir Francis John Wilder (1775 c.-1824) After private studies with Samuel Parr and education at Eton, he pursued a military career and was MP for Horsham (1807) and Arundel (1807-18). John Wrottesley, first baron Wrottesley (1771-1841) After education at Westminster School and military service he was a Whig MP for Lichfield (1799-1806) and Staffordshire (1823-37); he was raised to the peerage in 1838. Edmund Henry Barker (1788-1839) Thesaurus graecae linguae ab H. Stephano constructus. 11 vols (Londini: Valpianis, 1816-1828). Sir William Gell (1777-1836) The Topography of Troy, and its Vicinity; illustrated and explained by Drawings and Descriptions. (London: T. N. Longman and O. Rees, 1804). Thomas Morell (1703-1784) Thesaurus Græcæ poeseōs; sive, lexicon Græco-prosodiacum; versus, et synonyma. (Etonæ: Josephi Pote, 1762). Revised by Edward Maltby, 1824. Samuel Parr (1747-1825), Henry George Bohn (1796-1884) Bibliotheca Parriana. A Catalogue of the Library of the late reverend and learned Samuel Parr. (London: J. Bohn, 1827). Compiled by H. G. Bohn. Samuel Parr (1747-1825) “Rev. John Bartlam” in Gentleman's Magazine. Vol. 93 (March 1823): 281-83. An obituary notice for a former pupil.